Kimberly C. Lau is Partner and Chair of the Title IX/College Disciplinary Department of the law firm of Warshaw Burstein LLP in New York. Her experience includes state and federal practice, trials, arbitrations, mediations and appeals in commercial litigation and Title IX/college disciplinary matters. She has represented numerous students both male and female in over 100 proceedings addressing a broad spectrum of disciplinary matters, including, academic dishonesty, theft, harassment, sexual misconduct, and gender discrimination at major college and universities across the country. She regularly serves in a critical advisory role during student disciplinary proceedings. The primary goal of her college disciplinary practice is to advocate for student rights during the disciplinary process in all types of disciplinary matters, whether the student is a complainant or the accused. Accused students seek Ms. Lau’s assistance to help them develop an appropriate defense, and safeguard their due process rights before a life-altering decision is made. Meanwhile, complainants requiring support in navigating the disciplinary process look to Ms. Lau’s professional advocacy and guidance to ensure that their rights are protected and respected. The core beliefs that guide her work are fairness, accountability and due process. Students seeking a resolution for their grievances on campus are entitled to a transparent and thorough process. At the same time, when male or female students go through a process in which they are presumed guilty until innocent, it runs contrary to due process, a stronghold of our American legal system. 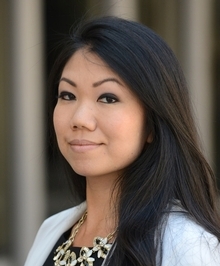 Ms. Lau's affiliations include the New York County Lawyers Association, the New York Women's Bar Association, FACE (Families Advocating for Campus Equality), National Association of Professional Women, and Asian Women in Business. She was the lead speaker for the continuing education legal program entitled: “Navigating Due Process and Title IX Issues in Campus Sexual Assault Procedures,” sponsored by Lycurgus Group, LLC in 2014. Ms. Lau has authored numerous articles on issues affecting how colleges and universities handle sexual assault on campus, the federal privacy statutes impacting student education records, and tips for her extensive experience in handling over 100 cases in this area across the nation at both public and private education institutions. Ms. Lau’s expertise in Title IX and college disciplinary matters has been featured on national news outlets, such as, CNN, ABC's Nightline, and The Wall Street Journal, and she has been quoted in national news media, including Newsweek, Yahoo News, The New York Observer, and The Daily Beast. Ms. Lau is on the Board of Directors of FACE (Families Advocating for Campus Equality). FACE advocates for due process in college disciplinary tribunals. She regularly engages in lobbying efforts on the topic of our nation’s campus disciplinary systems in Washington D.C. with the goal of educating legislators on all perspectives, and effecting change.